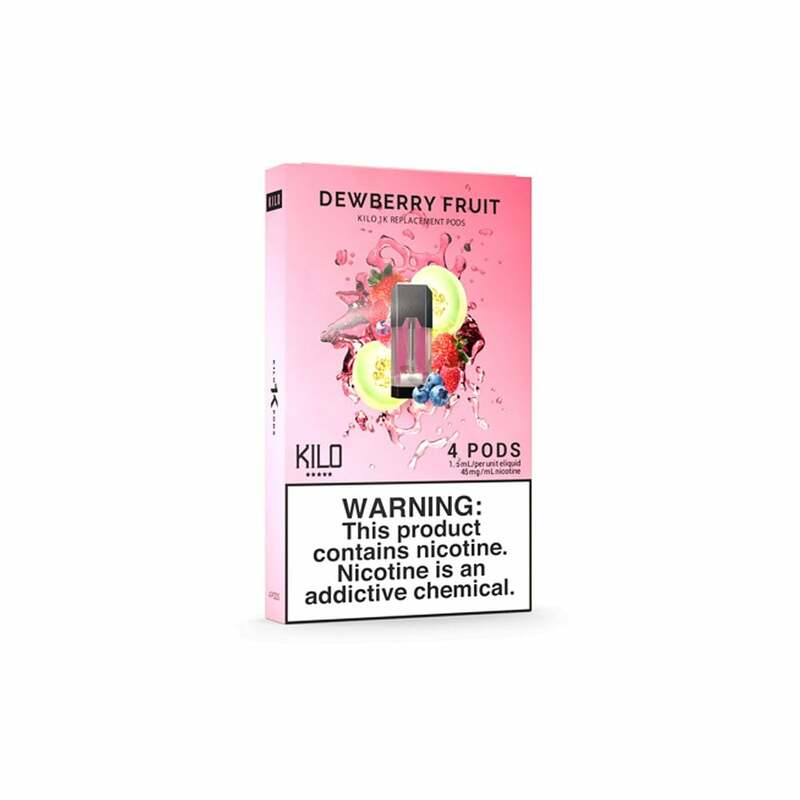 If you like Kilo's Dewberry Cream vape juice, you'll love their Dewberry Fruit pods for the Kilo 1K! A sweet and juicy rush of honeydew melon is followed up by a blast of summer berries for an unbelievably refreshing vape. Step up your fruit vape game and try out Kilo 1K Dewberry Fruit Pods today! The 1K pods are by far better tasting than any other I've tried. Will buy these again. The juice is not as smooth as Juul's nor Myle's. It does not seem to be a nicotine salt juice rather a freebase nicotine juice. There's a slight harsh feeling in my throat. The taste is not as strong as i hoped for. The only thing I like here is the size which is something i know would last for a few days. The pods are leaking too upon removing the silicone cover at the bottom. Such a great flavor. My favorite! Not what I was expecting not really good to me very strong will not order this one again.